For an optimal experience, we have selected and certified a number of devices which you can use alongside with the application. 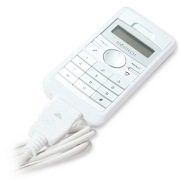 Enustech Cordless (Bluetooth) VoIP Phone: imFONE CP™ imFONE-CP™ is Bluetooth-based Cordless VoIP phone for VoIP calling via VoipGain-like program. Within the coverage of 50m, users may make/received internet phone calls freely and wirelessly. imFONE-CP supports Auto-synchronization with contacts in VoipGain, recent call redialing, key-pad calling, and additionally, users may use as a Presenter using arrow keys as well. imFONE-CP provides crystal-clear sound quality with handful slim sized design (Thickness 11mm). With imFONE-CP(m), users may store VoIP program like VoipGain inside the Bluetooth USB dongle with 128M flash memory. With this model, users will not need to install the VoipGain program even when need to use VoipGain in public PC. Charging via USB cable and AC power adaptor. Fully Bluetooth SIG qualified for safe wireless operation. CE/FCC/TELEC finished. Enustech Bluetooth VoIP USB Adaptor: imFONE HS™ imFONE-HS™ is the Bluetooth VoIP USB adaptor for universal Bluetooth Headset users. As it is compatible with most of standard Bluetooth headsets, once you have the headset, you may use your own Bluetooth headset for VoIP calling purpose after just plugging imFONE-HS to your PC. Operate in Plug-and-play mode as it embeds necessary Bluetooth stack inside. Perfectly works with VoipGain. 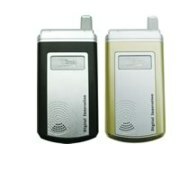 Rediscover your Bluetooth headset, your Bluetooth Headset can be VoIP caller & receiver, when it is with imFONE-HS USB 1.1, 8g. Bluetooth Spec. 1.2 compliant. Range up to 30m. 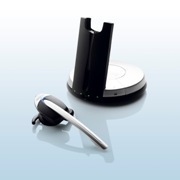 Compatible with Bluetooth headsets from Motorola/ Plantronics/ Jabra/ Logitech/ GGTelecom/ SuperTooth /etc. CE/FCC/TELEC finished. 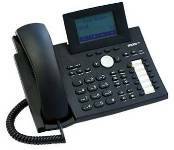 Enustech USB VoIP Phone: imFONE UP™ imFONE-UP™ is the USB VoIP Phone, with Sleek and Slim design. Thanks to its slim size, you may keep the product in your Pocket simply to carry wherever you move. Works perfectly with VoipGain, with Crystal-clear sound. 1.5m USB cable length, includes a magnet to place imFONE-UP on the wall nearby when it is not in use. Contact download possible from your soft phone like VoipGain to its body for simple calling to your buddy. Keypad dialing and last-call redialing is supported as well. CE/FCC/TELEC finished. 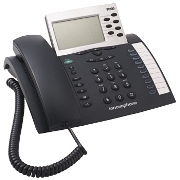 The QBest Basic VoipGain® officially certified high-quality VoIP phone, features an LCD display and 12 distinctive polyphonic ring tones as well as many other handy features. The phone’s multifunctional keyboard and LCD display allow you to make calls without using your computer’s keyboard or mouse. All your contacts can be seen on the LCD display. Simply plug the phone into your computer’s USB port to take advantage of Internet calling. English drivers and manual. Earpiece included, built-in voicemail via chat. Allows simultaneously use of Skype and VoipGain. The QBest Lite, VoipGain® officially certified ,high-quality VoIP phone, comes with 12 polyphonic ring tones and other handy features. The phone’s multifunctional keyboard enables you to make calls without using your computer’s keyboard or mouse. Simply plug the phone into your computer’s USB port to take advantage of Internet calling. English drivers and manual. Earpiece included, built-in voicemail via chat. Allows simultaneously use of Skype and VoipGain.